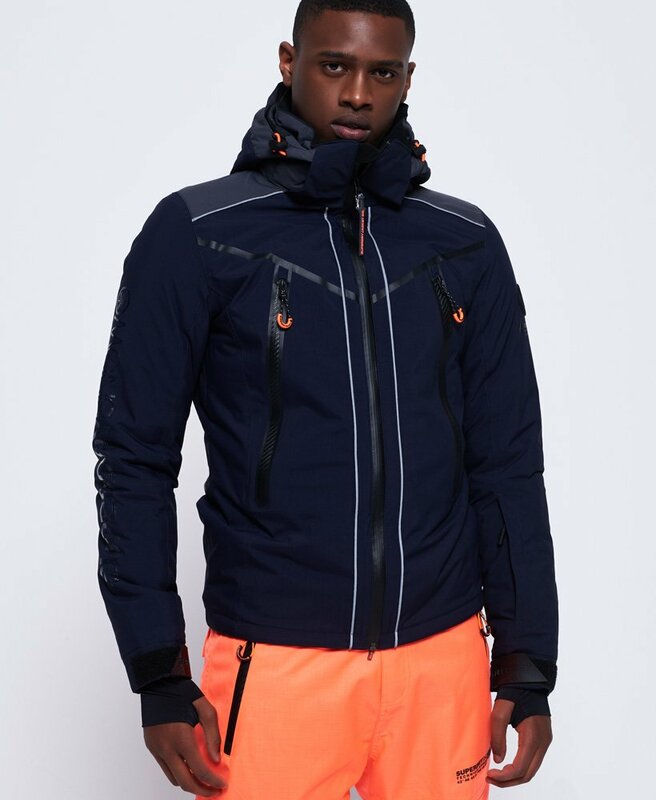 Superdry men’s Downhill Racer padded jacket. This jacket is the perfect partner to have on the slopes to help keep you protected and warm. The Downhill Racer jacket features coated zips to help keep you dry. This jacket has a single zip fastening with two external zip pockets and a ski pass holder. The Downhill Racer jacket also features fully taped seams, a snow skirt, as well as hook and loop cuffs with thumbholes for a comfortable fit and to keep the powder out and help keep you dry. The jacket features ergonomic adjusters throughout and a removable hood. For when the temperatures rise, this jacket has pit zip venting to help keep you cool. Inside, the jacket has a pocket complete with goggle wipe along with earphone cable routing loops. Finishing touches include reflective piping, a textured Superdry logo down one sleeve, a Japanese inspired logo on the placket and branded zip pulls throughout.